Well, it depends on what type of pipe you have. Have a plumbing emergency? Give us a call, and we’ll quickly send over one of our certified plumbers to fix whatever is causing the problem. The older your home, the more likely you’ll have multiple types of pipe in your home. That’s because older homes have likely gone through various repiping repairs that used newer types of piping to replace the old piping. Note: If you can’t easily see any pipes, contact a plumber to locate and pipes. Identify your home’s piping. Copper pipes have a red/brown (like a penny) color. Copper pipe life expectancy is around 50 to 70 years. However, copper pipes are susceptible to pinhole leaks, which can significantly reduce their lifespan. PEX pipe lifespan is around 40 to 50 years. PVC is a plastic made of polyvinyl chloride. They are generally white in color and have the letters “PVC” stamped on them. PVC pipes can last 100+ years. CPVC (chlorinated polyvinyl-chloride) pipes are similar to PVC, but they’re usually a cream color that turns tan over time. You’ll usually see the letters “CPVC” marked on them. CPVC pipes usually last 50 to 75 years. Galvanized steel water pipes are a gray metal color. You can also tell you have galvanized steel pipes if you hit it with a coin or screwdriver and you hear a metallic clanging sound. Galvanized steel water pipe life expectancy is 20 to 50 years. Galvanised steel pipes aren’t used in newer homes. That’s because, in the 1950’s, it was discovered that the internal zinc lining can cause the pipe to rust and wear out quickly, which can carry those unwanted corroded metals into your home’s drinking water. Lead pipes are an outdated pipe material used in homes built pre-1930s. They usually last 40 to 50 years. Lead pipes aren’t used in plumbing systems anymore due to the health problems associated with lead exposure. 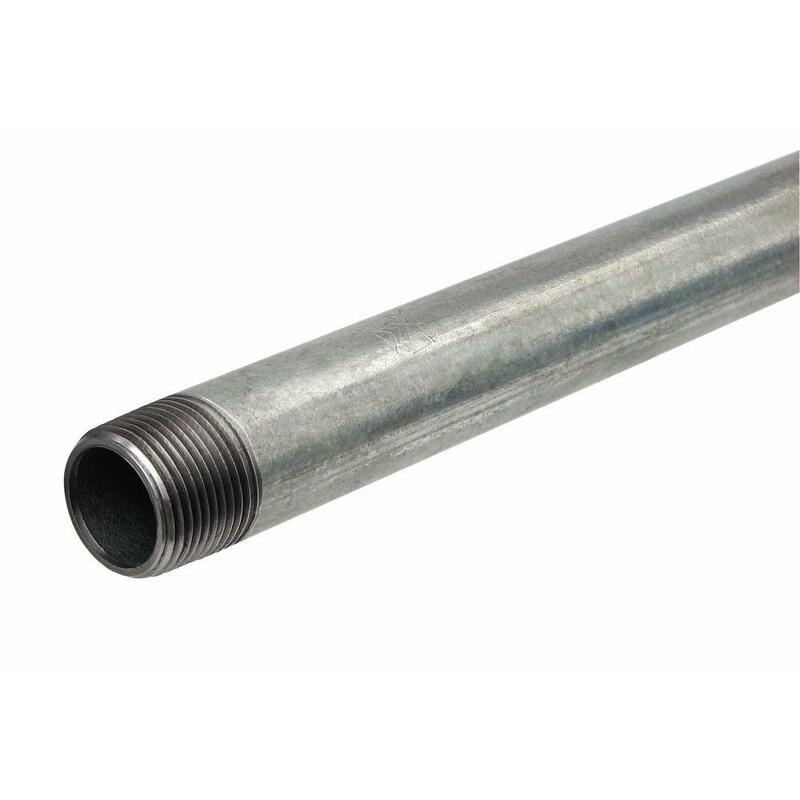 Lead pipes are usually gray or a metal color, and you can tell you have lead pipes by lightly scraping the pipe with a screwdriver or sharp object to reveal a silver-white color and soft material. Galvanized and lead pipes look similar, and the scratch-test will yield the same results, but you can tell the difference by doing a magnet test. Galvanized steel will attract a magnet; lead pipes won’t. So, should I get my pipes replaced? Your pipes are close to their life expectancy. You have galvanized steel or lead pipes (because of the health risks and unreliability of both types of piping). For more information about replacing pipes, visit our plumbing services page. Have questions for a Minnesota plumber? Just give us a call. We’d be happy to answer any questions you have about pipes and help you schedule an appointment with one of our trusted plumbers.